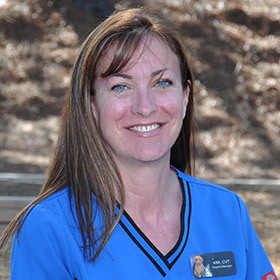 Kim is a licensed veterinary technician and has worked at Montrose Animal Hospital for 28 years. She enjoys reading, watching movies and spending time with her Chihuahuas. Kim says the best thing about working at MAH is seeing really sick pets go home happy and healthy and knowing you played a part in their recovery. 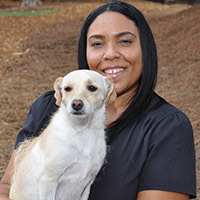 D’von has worked at Montrose Animal Hospital for over 19 yrs. She enjoys traveling, entertaining with family and friends and spending time with her dog Eve and cat Poppi. 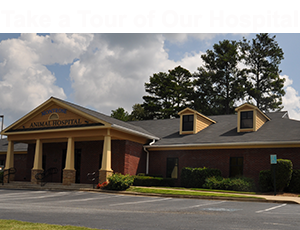 She says the best part about working for Montrose Animal Hospital is being a part of its growth and helping create an everlasting bond between our practice and clients. Jamie has managed the Pet Hotel for over 9 years. 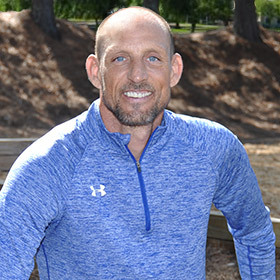 Jamie is an avid outdoors man and an accomplished Tri- Athlete. His hobbies include kayaking, fishing and any Iron Man competition. 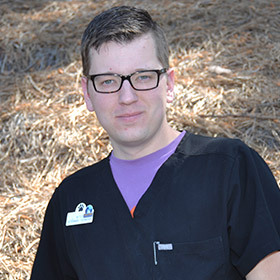 Jamie says, working with all the animals and their different personalities is what makes his job great. 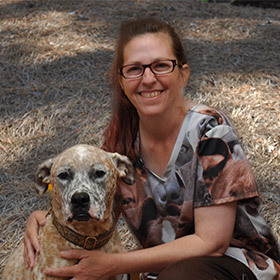 Kristen has worked for Montrose Animal Hospital for over 25yrs. Her interest include movies,taking road trips with her husband and anything that involves interacting with animals. 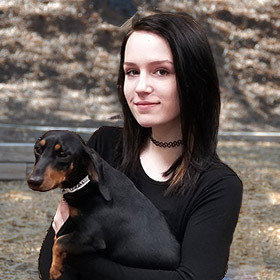 She has a passion for animals and says the best part about being a groomer here is the generation of families and their pet's she has had the pleasure of bonding with over the years. Kristen also adds, that she couldn't work with a better group of co-workers here at the practice. Sean enjoys reading and staying active in the gym. He also has an immense passion for movies. 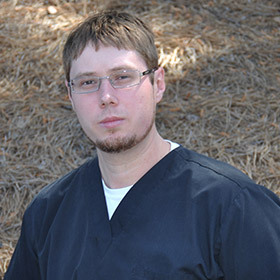 Sean has a great rapport with all the clients and pets we care for and we're happy to serve as his 2nd family. 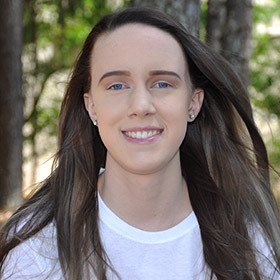 Hailee enjoys reading, hiking with her dogs and spending time with her family and boyfriend. 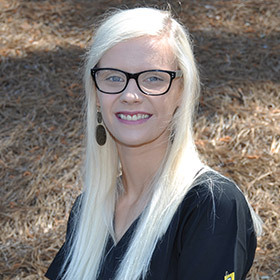 Hailee believes the best part of working at Montrose Animal Hospital is seeing the pets get so excited to see the doctors when they walk through the door that their families can feel comfortable with leaving their pet in our care. In Jen’s spare time, she likes to go to Atlanta United games with her husband and watching hallmark movies with her dogs. Jen’s favorite part of working at Montrose is saying hello to old and new friends who come in to see us. 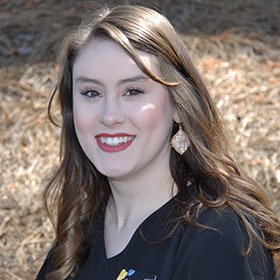 Danielle loves going to Atlanta Falcon games and spending time with her family and friends. 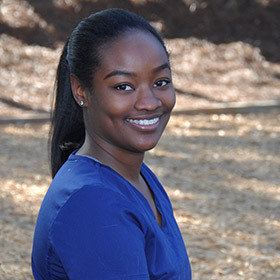 She enjoys the daily challenges of patient care and learning from the best in the veterinary industry. Jessica enjoys shopping but says her greatest accomplishment is being a mom. She has worked in the vet industry for 15 years and has been a vet tech for over 10 years. 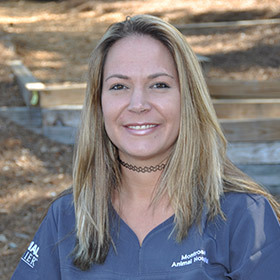 Jessica loves to be challenged and says the best part about working at Montrose Animal Hospital is our amazing training program caring for sick patients. 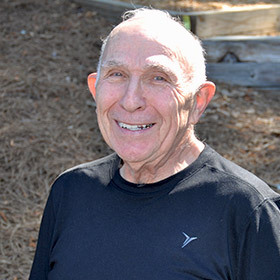 Mitch enjoys gardening, backpacking and spending time with his wife and dogs. The best part about working for Montrose for Mitch is that each day provides opportunities to learn something new and to work with pets and families. 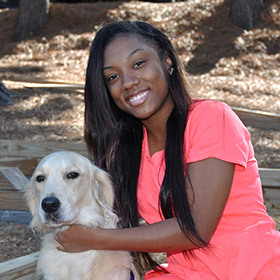 Shya enjoys shopping, dancing and relaxing with her dog, Jake. Her favorite part about working at Montrose Animal Hospital is seeing the puppies and kittens that come in. She also loves that her friends are staff at Montrose as well. Bernie has been with us for over 18 years. He enjoys singing, writing poems and playing sports. We call Bernie the “Captain of the Cat Room” and he says working with the animals and his team keeps him young. Ashley loves cars, going to car shows and modifying cars. Her favorite part about working at Montrose Animal Hospital is seeing our regular pet visitors light up when they see her and making sure each pet owner knows how much we love their cat or dog. 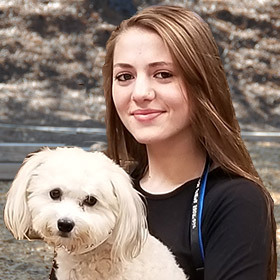 Abby loves taking long hikes with her dogs and hanging out with her best friend. She is currently taking college courses. She says working at Montrose Animal Hospital keeps her physically active and mentally challenged. Destiny enjoys hiking and fishing with her friends. Destiny’s favorite part about working for Montrose Animal Hospital is getting the opportunity to take care of animals and being surrounded by a great staff. 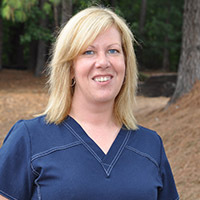 Janet has over 15yrs grooming experience and has worked at Montrose Animal Hospital for almost 8yrs. She loves outdoor activities such as hiking and riding four wheelers. Her biggest reward is seeing how satisfied her clients are after seeing how good their pets look after a day in the groom shop.